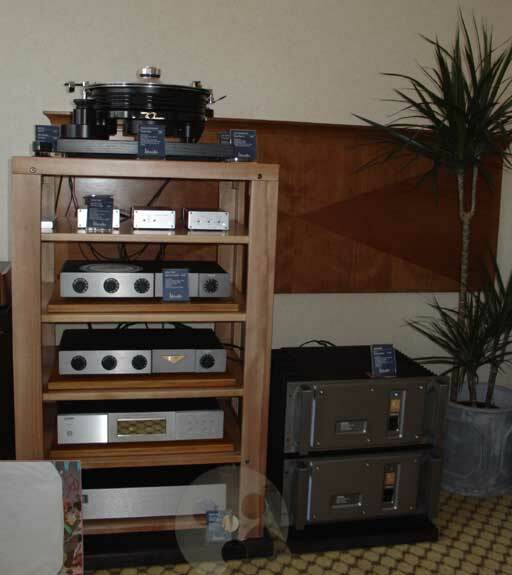 Once firmly on the way to being the UK's true hifi show, after many people got fed up with the London show, Bristol now seems heading the wrong direction again. I don't know about attendance, that was probably quite good, but this year there seemed to be less exhibitors, and definitely less interesting product launches. 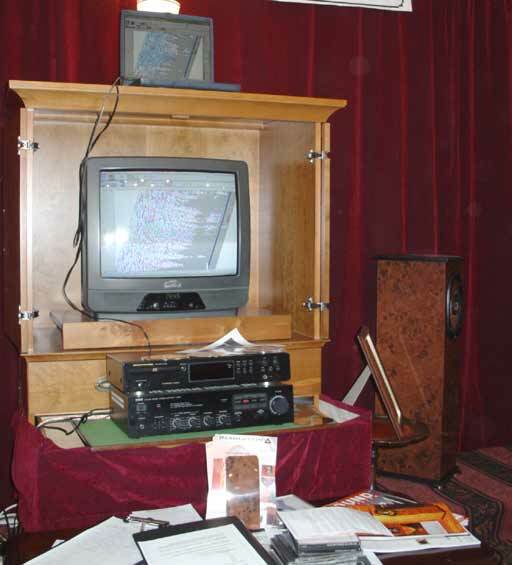 Moreover, the quality of the demonstrations seemed lacking, even for home theater, and that is remarkable, given that a couple of rooms succeeded in showing genuine High-Definition material. The three buzzwords of this year's exposition were DAB (again, so it seems like it is going to stay), HDMI, and the iPod. There are lots of DAB tuners now. 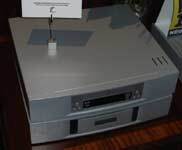 Not only portables and table top radios, no, the format is also getting into microsystems and compact stereos. 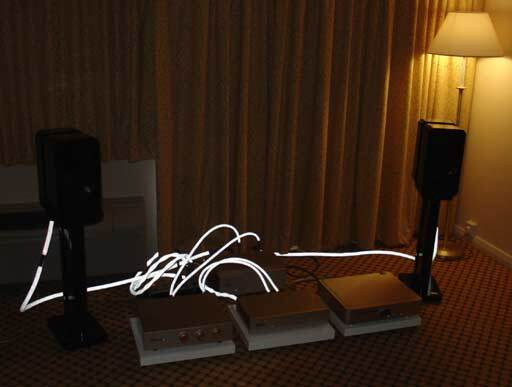 The cable industry found a new gold mine, what with HDMI and DVI for digital video (and audio!) transport. As for the iStuff: everyone and his dog is now releasing add-ons and accessories for the iPod. It surprised me that the suitably-initialed CEO of a certain islandish audio manufacturer isn't styling himself now the 'iMan', but then that particular manufacturer hasn't jumped the bandwagon yet. Or so it seemed. 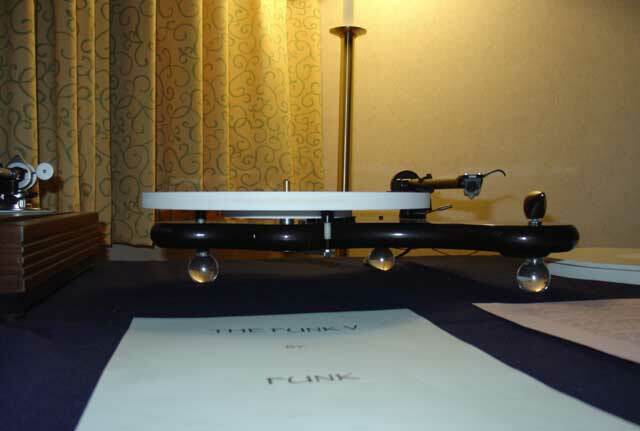 The Bristol Show was chosen as the first public outing of The Funk Firm. Arthur Khoubesserian, him of Pink Triangle fame, has returned to the analogue end of the market with a new company name, a new turntable, a couple of new concepts, and a handful of tweaks and upgrades for existing, pink and otherly-coloured, record players. 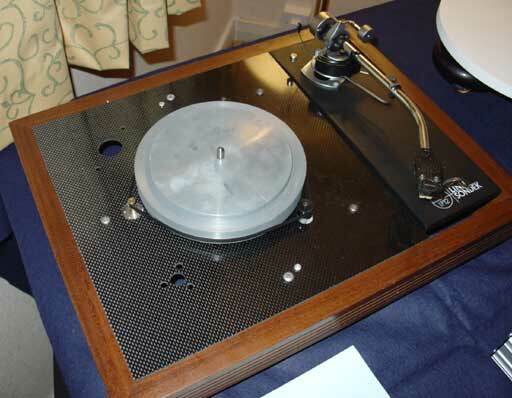 Back in 1980 or so Pink Triangle were the first to introduce naked acrylic as a turntable platter material. 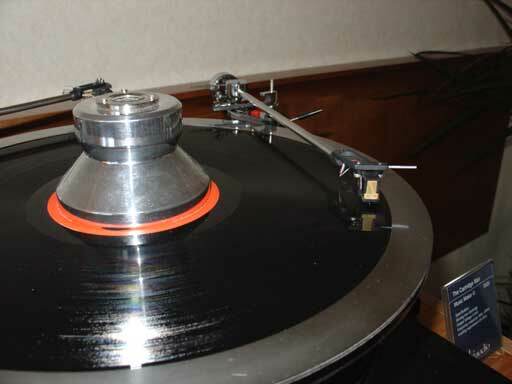 The argument went that such a platter would more closely match the acoustic impedance of the vinyl record, thus draining vibrations from it. Now Khoubesserian has a new material, a sort of foamed acrylic, which allegedly matches even better. This material is used on the new turntables (see below), but it is also available as an upgrade platter for the various Regas, named Achroplat, and as a universal mat for more conventional-plattered record players such as the LP12, Thorens, Dual, ... This Achromat comes in two guises, dished and flat. The Funk Firm are adamant that this is a great upgrade for many cheap turntables as the Achromat is priced at 35 to 43 UKP. Expect a review here soon. 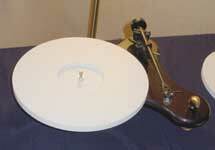 There are two new turntables (a prototype for static display was just finished for the show). 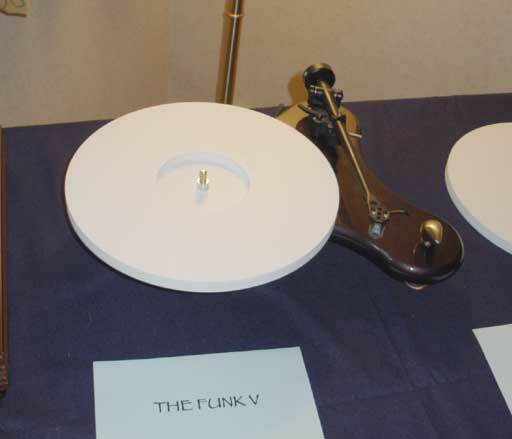 The Funk is the entry-level model, and continues where the Tarantella left off. A small skeletal design, now with opaque bio shapes instead of the Tarantella's edgy plexy, it carries an Achromat and a sapphire bearing, and is driven by a low noise DC motor. The deck comes with an innovative cover, named Eyelid (shouldn't that be iLid?). The Funk V builds on its lesser sibling and adds a better finish to it, and the Vector Drive. What that? The Vector combines a very low noise DC motor with two additional pulleys positioned arround the platter so that it feels no horizontal forces that would destabilise it during play. 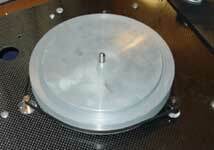 Vector Drive is available as an upgrade to all older floating-chassis Pink turntables. Apart from this, TFF offer a range of upgrades for the Sondek LP12: the Funk-Link adds a carbon fibre top plate and a DC-motor, while the The Vector brings in an entirely new subchassis, vector drive, and twin-regulated power supply. Michell Engineering showed the prototype of the Odyssey. The late John Michell started his carreer building spacecraft models for Kubrick's '2001, A Space Odyssey', and now the Michell Odyssey is a limited edition commemorative version of the GyroDec: a gorgeous-looking complete package in deep black, with an Orbe-style double plinth, matching black TecnoArm(a), and a black HR supply. I very much want one, but as I already have two Gyros I'll try to restrain myself so that you have more chance of picking up one of the 100 that will be made. 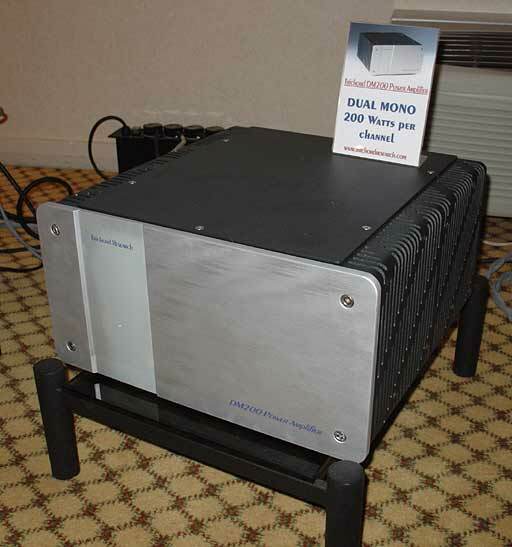 In the same room Trichord Research positively astounded with their new DM200 power amplifier. 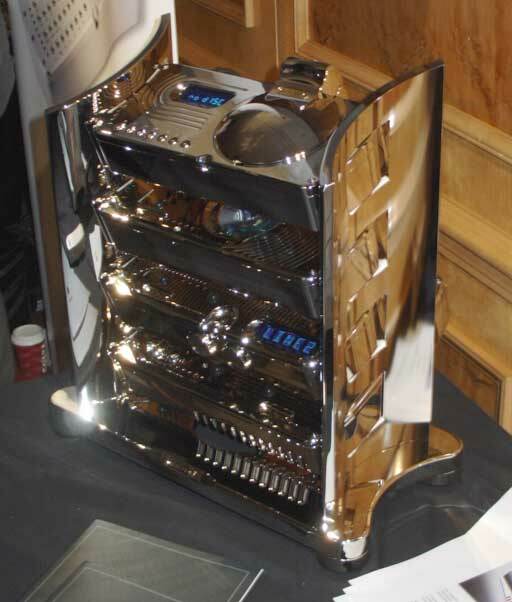 An American-style behemoth made of a single piece of laser-cut aluminium plate this is a 200W per channel dual-mono MOSFET amplifer. 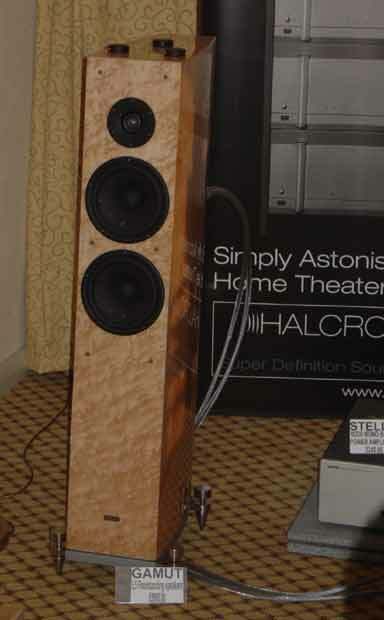 Very unlike the earlier top-hat Trichord amplifiers, for sure. 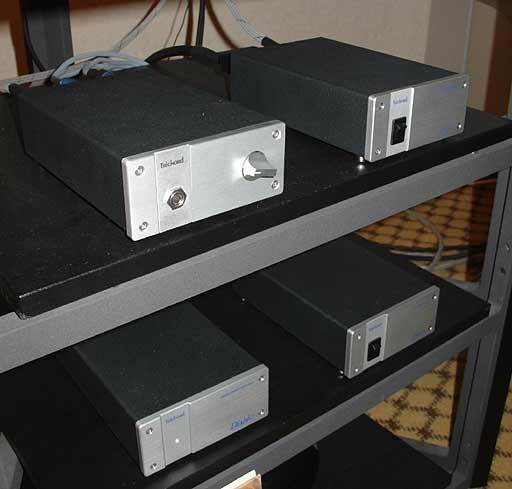 Pricing is also unlike Trichord, but a smaller and less-costly version, as well as an integrated amplifier, are planned for the near future. Also seen were the new Diablo two-box MM/MC phonostage, available already, and a still-unnamed headphone amplifier, to be released pretty soon. Both were clad in beautiful aluminium houses that continued the theme set by the DM200. One of the most universal phonostages around, Diablo contains a circuit quite unlike the Delphini. Using SMD components throughout it succeeds in being smaller even than a Dino, while having twice as many (discrete!) voltage regulators. This makes it in effect a dual-mono phonostage, much like the short-lived but famed Delphini Mono of yore. 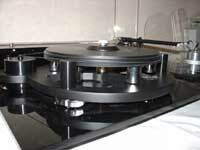 Another new turntable could be found with Clearaudio. The Ambient is going to sell for about 2200 UKP, matching well with the new series of 'high dynamic' cartridges. Of these we all knew of the ludicrously-priced Goldfinger, but there are two more economic versions of the design: the UKP1600 Stradivari, and the Titanium. 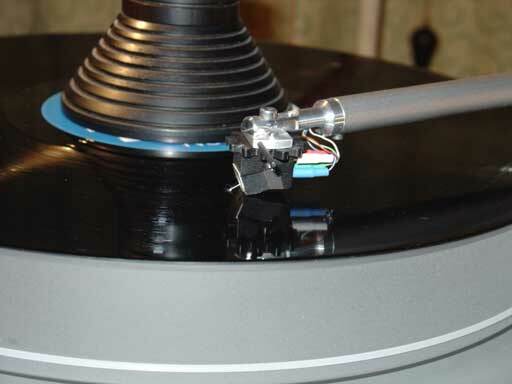 Also new was Clearaudio's Azimuth Adjuster: a tiny jewel-like box that connects to the tonearm's output cables, allowing to zero in on correct azimuth through its display and an included test record with an out-of-phase signal track. 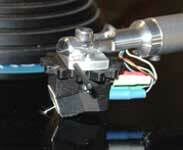 The Harmonicer, then, is an add-on vinyl mat for use on turntables not so equipped. 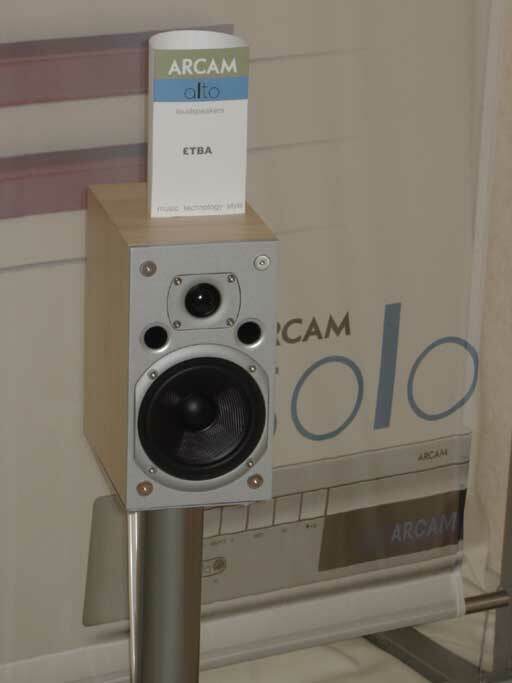 The same room featured the new L3 and L5 loudspeakers from Gamut, all using the now well-known Scandinavian ring radiators for tweeters, as well as an interesting-looking designed-in-the-USA-made-in-China big integrated amp from DK: a hybrid with tube front-end and MOSFET output stages. 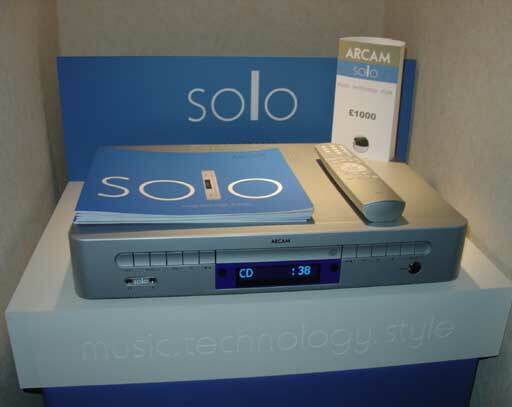 Brand new from Arcam was the Solo: a UKP1000 all-in-one music system with 50W amplifier, CD player, and tuner. Salient detail: the tuner is DAB, with FM only available in DABless countries. And yes, the minijack input on the front pannel is labelled as ideal of your iPod. The Solo is squarely aimed at computer geeks because even the power button reminded me of no-one less than ... Pac Man. 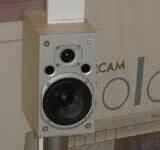 For what must be the first time in nearly two decades Arcam launched a pair of loudspeakers. Dubbed Alto these are to complement the Solo. 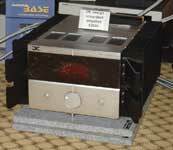 And finally there was the P1000, a seven-channel 135W/ch power amp for the DiVA range. 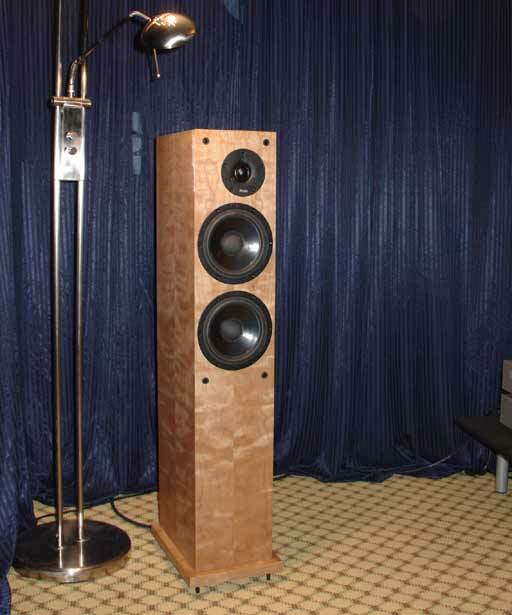 One of my favourite affordable floorstanding loudspeakers are the ProAc Studio 125s. Alas, they are no more. Luckily Stewart Tyler was so good to replace them not with one, but with two new models. The UKP1100 Studio 130 is a direct descendant of the 125, bringing the floor-ported cabinet design of the response series to a lower price bracket, as well as ProAcs top-range tweeter. The Studio 140 is more of the same, now with two bass drivers. 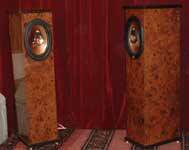 Somewhat less conventional, but definitely intrigueing, were the Resolution loudspeakers. 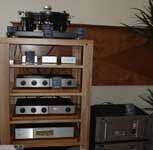 Visit http://www.worldsbestloudspeakers.com for the, ahem, best intro to their technology. 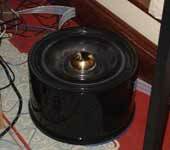 The resolution speakers combine a slightly-modified triaxial car speaker with a massively-built true transmission line crafted from concrete and ceramic tiles, and the requirement to employ a little bit of tone control to level out the bass. 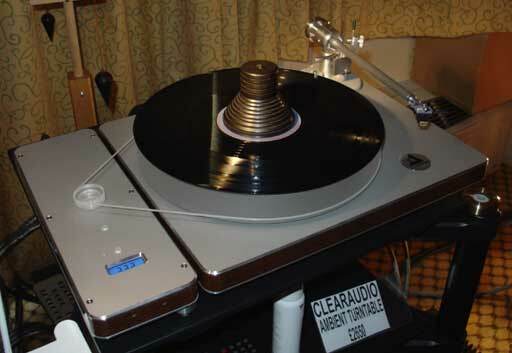 The aim of this exercise is to get to the true sound of the driver, without cabinet or crossover spoiling the broth, and at a high sensitivity. 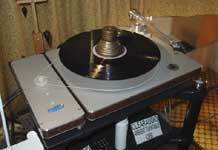 The demos were done with a cheap CD player and an old little Yamaha integrated. I can't say the result was to my liking (hey, I'm a Quad ESL man AND I really object to having Mariah Carrey in my lap! ), but those of you after a Lowther sound without the cost may want to check this one out. Quite unexpectedly NHT did something not dissimilar: singling out the passive crossover as Bad Thing Number One, I mean. Built with cooperation of companies DEQX and Power Physics the NHT Xd system combines the XdS satellite speakers, XdW subwoofer, and XdA processor to an integrated speaker system, where the XdA houses a digital crossover as well as four digital amplifiers. The XdA software was said to be future-proof and uploadable through USB2.0. 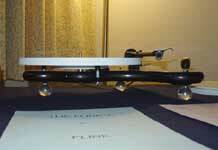 The new R1, R3, R5, and R7 loudspeakers now accompany Rega's R9 that was introduced at last year's Bristol Show. 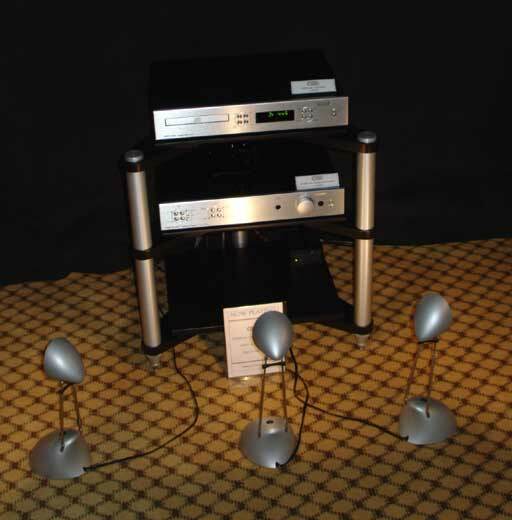 All bar the stand-mounted R1 look like scale models of the R9 and feature a sideways-firing woofer. There were no new analogue products this year. 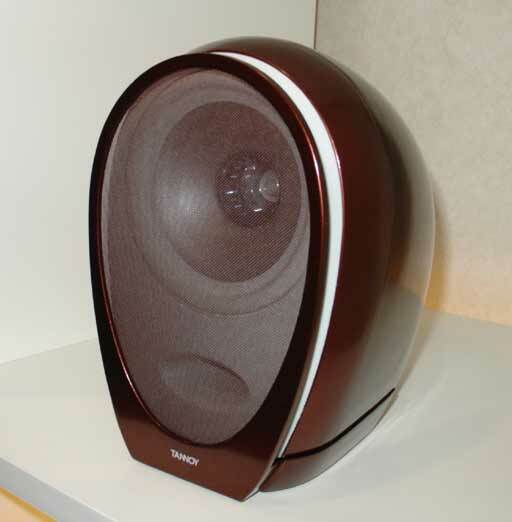 Naim, too, had only new speakers. 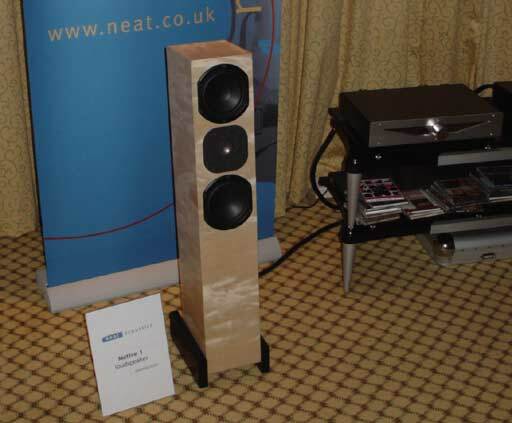 The n-series are targetted at AV systems, and include the active n-Sub as well as the, for Naim, tiny n-Sats. 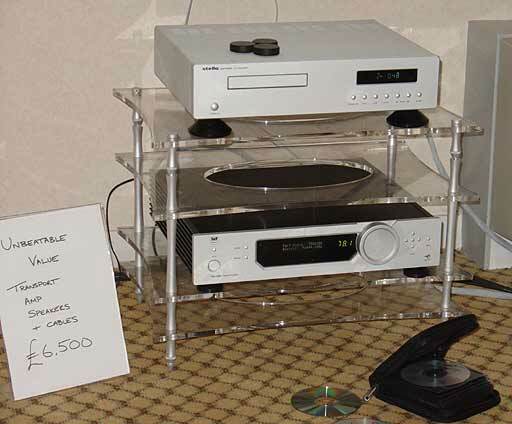 Regrettably this year the Salisburians opted for a more or less static display of their AV wares as opposed to some good music sourced from a good DVD. Sad and boring. 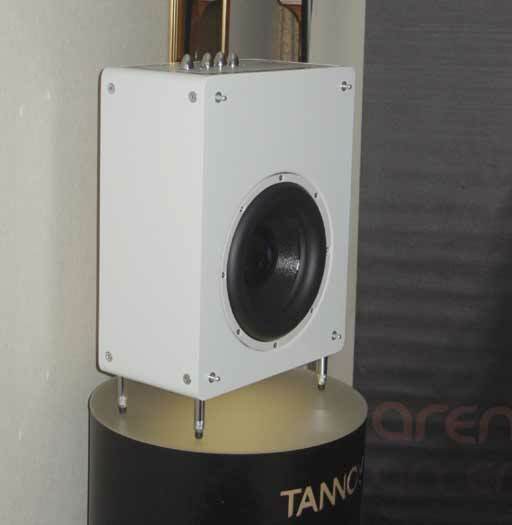 Tannoy had the first public showing of their trendy Arena system: tiny bioformed satellites with Tannoy's trademark dual-concentric drivers, and a matching sub. 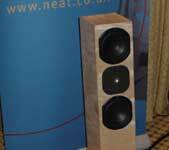 Neat brought the Motive 1, a new budget floorstander, sadly without the company's usual ribbon-ring tweeter. 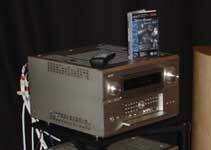 And Chord astounded with a chrome-plated edition of their system electronics, aptly named 'Brilliant'. 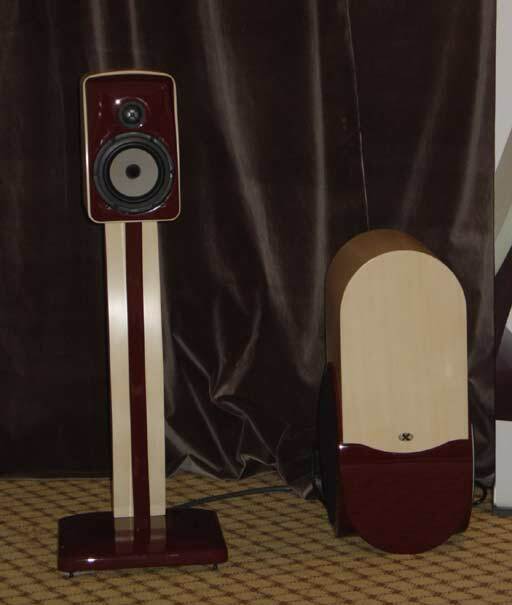 Asian newcomers Nbien had a couple of sweet-sounding loudspeakers on demo with unusual cabinet shapes and drivers that seemed to stem from a 1980s Focal catalogue. 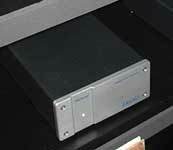 Creek launched new electronics, the 53 MkII series, as well as the A50iR SE integrated amplifier. 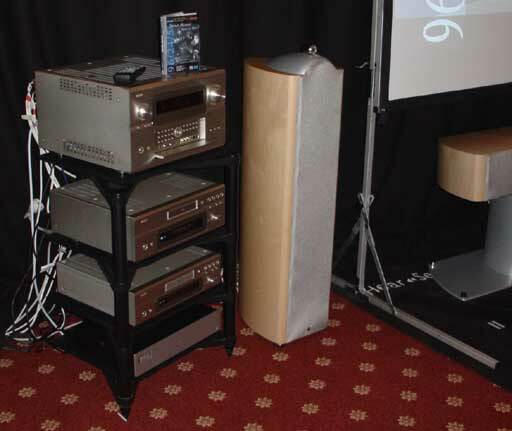 The room of distributor HiAudio had Graham Slee's ever-growing range of gorgeous phonostages, as well as the originally-DIY-but-now-commercial Rudolf Bruil SRS universal record peripheral clamp, demonstrated with Nottingham/Hadcock/Music Maker source and Usher amplifiers and speakers. 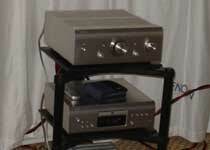 TacT Audio chose Bristol for the first showing of the new TDA2200 all-digital integrated amplifier. 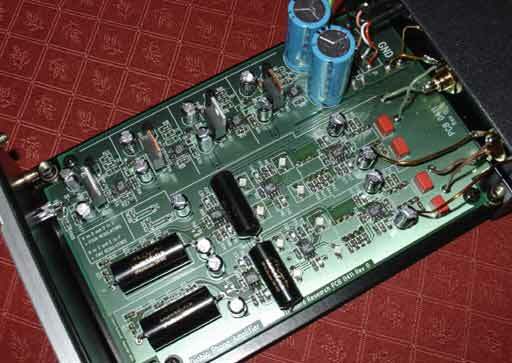 While looking to all intents and purposes just as an RCS2.2 room correction equalizer, this one is a 200W true digital integrated, with built-in 20-band parametric equalizer (cool: I'm increasingly convinced of the need for a good tone control in any serious serious), programmable crossover with time-alignment, and analogue line-level output for a subwoofer. True automated room correction as per the RCS2.2 is not possible, but TacT intend to make a measurement module available, at a modest cost, as well as free PC software that, when linked up to the amplifier, offers a decent user interface for measuring out the room and adjusting the eq controls. 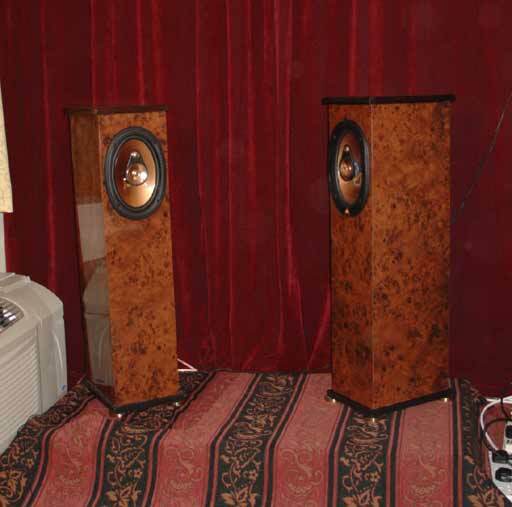 The TDA2200 made some very taste sounds with a Stello transport and upper-class Dali speakers, the more so if you factor in the relatively modest cost of this system. The only thing missing is an fully-enabled HDMI interface, and I don't think that one can be retrofitted. A pitty, as otherwise this 3500 euro component could be a massive winner. 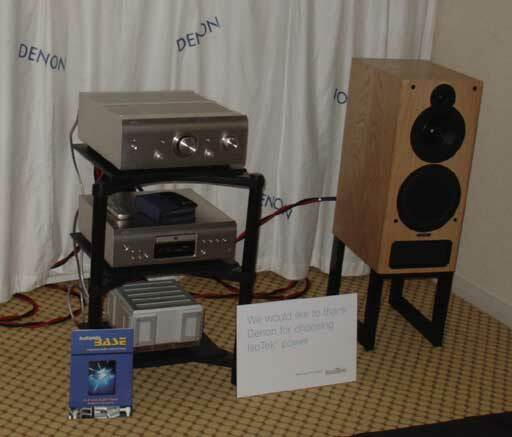 Denon went back to basics. With a megabuck stereo system, that is. 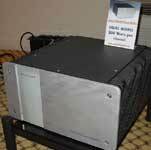 The PMA-SA1 is a monster integrated amplifier employing those insanely powerful UHC MOSFETs from Hitachi that were introduced ten years ago. 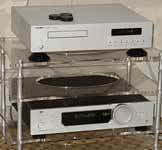 The matching source is the DCD-SA stereo-only CD/SACD player. 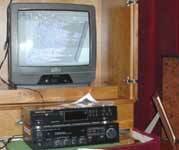 No DVD-A. Is this a sign? 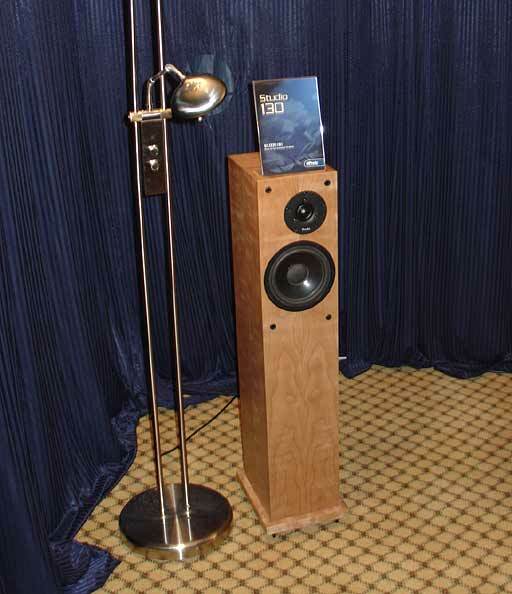 These components, which sell for about 10kSterling, were suitably demonstrated with the massive PMC IB1 monitors. At the other end of the application spectrum featured the equally-massive AVC-A1XV 10.1 channel home cinema amplifier with matching DVD-A1XV DVD player. It wont be for long before people will need a separate room for all their AV gear. Anyway. 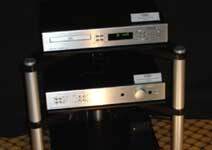 Denon launch a behemoth AV thingy, and so do Onkyo. 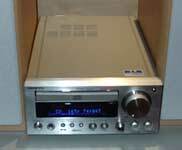 The Soniesquely-named TX-NR5000E AV-receiver is big, big, and upgradeable. Much like a PC the main unit is a backplane to which input-output cards of all kinds and colours can be added, making the receiver (hopefully) futureproof: FireWire (IEEE1394, iLink), Ethernet, optical and coaxial SPDIF, analogue multichannel in, composite, S-video, component, HDMI, ... you name it. It finds a companion in the HDMI and FireWire-equipped DV-SP1000E DVD/DVD-A/SACD player. Other goodies from Onkyo include the CS-220UK micro CD-receiver, going straight at the cute Denon UD-M31, but DAB included, and the A-933/C-733 midi-sized versions of the A-1VL/C-1VL digital amplifier/CD couple announced last year. 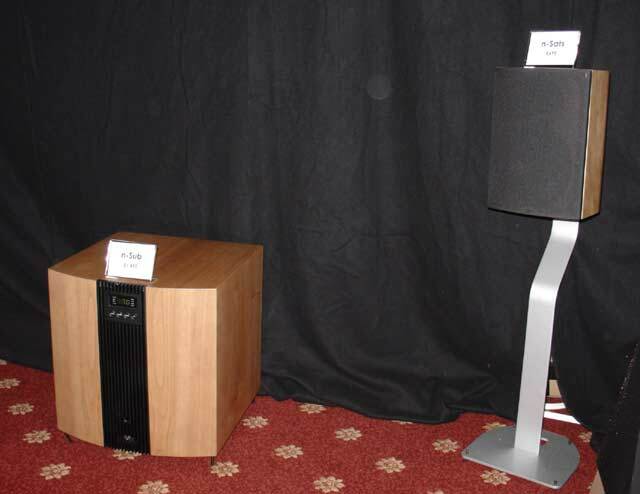 Do you remember the 1-Ltd phased-array loudspeaker technology announced a couple of years ago? These were up to 256 tiny loudspeakers on one big wide baffle, each individually driven by a tiny amplifier and signal processor. 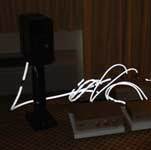 Varying the signals and phase to each speaker separately made it possible to generate a number of targeted sound beams that could be bounced off walls to create, at the listening position, the effect of a true surround system. 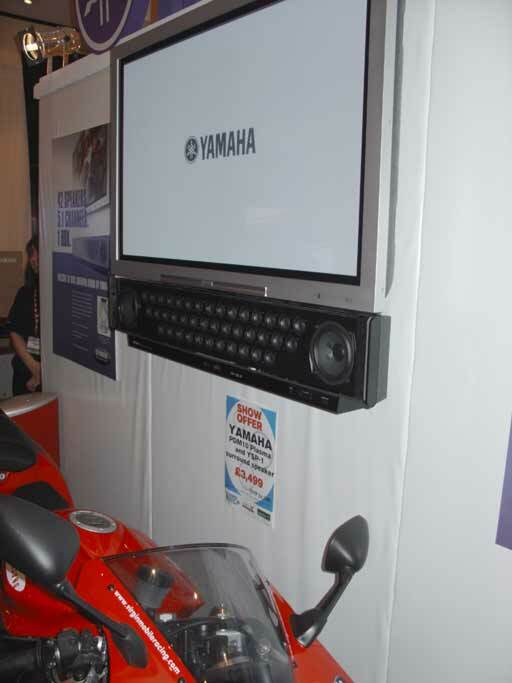 I think Pioneer took a license and had a demo, but now Yamaha are here with a trickle-down version of the same or a similar principle. 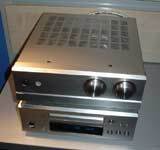 The YSP-1 Digital Sound Projector, costing a mere UKP 800, is a single unit to be positioned below a plasma or LCD screen, comprising of a Dolby Digital/DTS decoder, amplifiers, two woofers and an array of 40 midranges, steered in the abovementioned fashion to recreate up to five discrete channels (sub not included). Even though the system can be adapted to the listening room used, I suspect it only really works well in smallish rooms with very reflective walls. (Yam's demo booth featured glass-framed photographs in key positions.) The system works, sort of, being capable of positioning sounds to the far left and right of the listener, but I really never heard sound coming from behind. 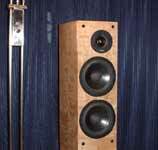 As for the tonal balance ... what do you expect of 40 tweeters rattling off glass surfaces? Right. 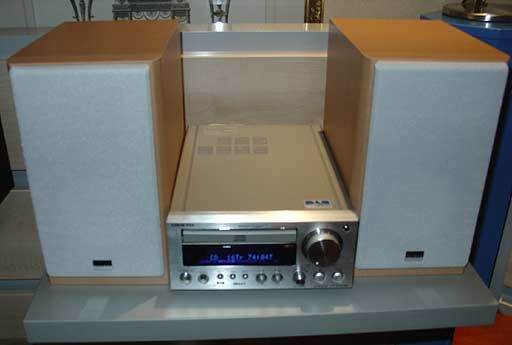 But it must be said that the Yahama people themselves emphasised that the YSP-1 is no replacement for a true surround system, not even a cheap one, and that it should only be contemplated for use in environments where five discrete speakers, and their wiring, are really not feasible. 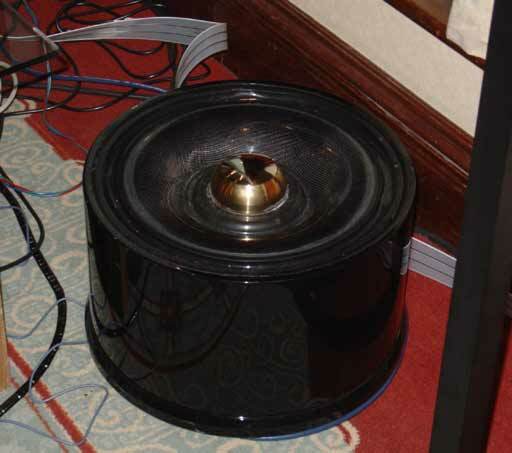 As usual Wilson benesch occupied one of the largest rooms, but brought only one premiere: the substantial and imaginatively-named Precision Bass subwoofer. Unconventional, carbon-fibered, using two motors for one cone (just as some pro woofers like Volt's use two spiders per cone), and passive, but with an outboard digital controller.